With the number of dementia patients steadily rising in the UK (currently 700,000), hospitals and nursing homes have to carefully manage the potential problem of bed entrapment. 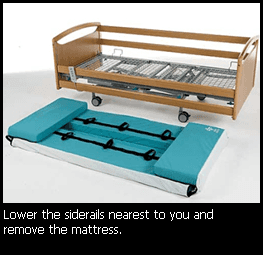 Sadly adverse incidents involving bed rails are on the increase and have resulted in serious injury and even death. Not only is this hurtful for the bereaved relatives, but it also adds stress to your hard working staff. It can even lead to negligence claims. 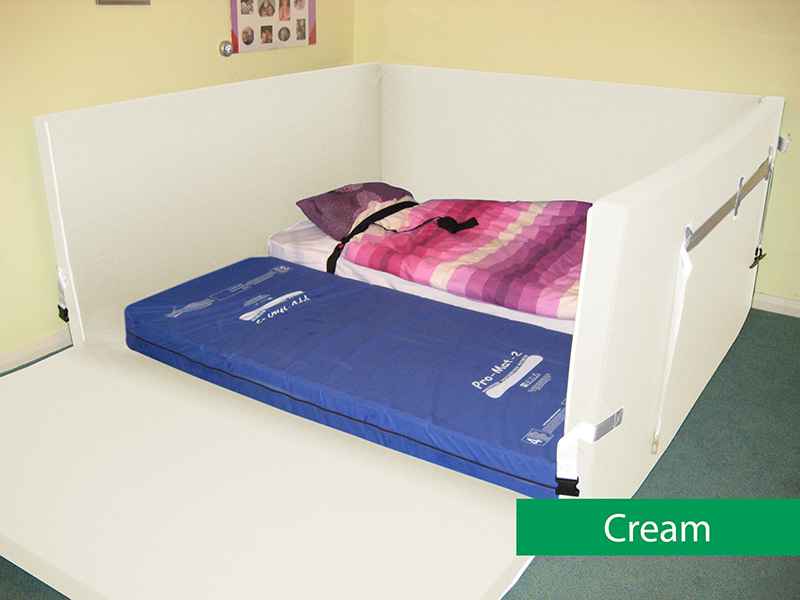 The launch of the Orthodocs Cocoon™, a totally enclosed mattress and bumper system from the medical devices company Orthodocs Limited, has therefore been greatly welcomed as a single and affordable solution to prevent any risk of entrapment, reduce injuries and even save lives. We are based in Northern Ireland but cover the whole of the UK. 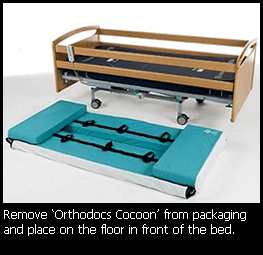 The Orthodocs Cocoon™ can be used with all bed types and bed rail systems and can take any mattress type, including air mattresses and mattress combinations. Each Orthodocs Cocoon™ covering has a minimum 50 newton tear strength, is 14% vapour permeable and can be washed at up to 75°C or dry cleaned on low setting. 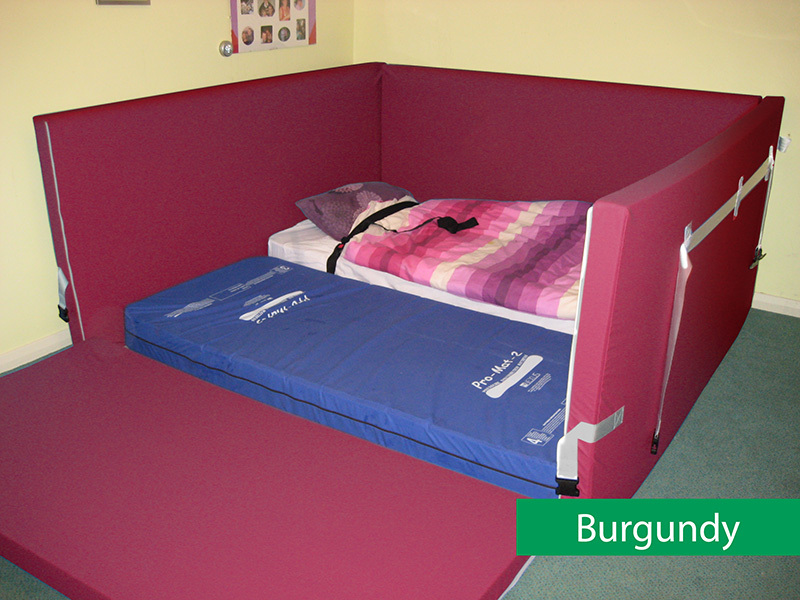 The bumpers can be secured to the bed rails by a series of ties. 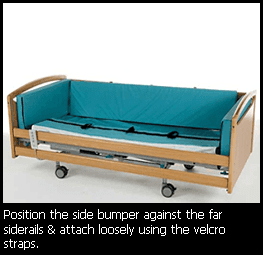 The bumper filling is available in soft of rigid foam to cope with specific patient needs. The covering conforms to fire retardancy BS 7175 (CRIBB 5 on CMHR Foam). The surface is wipe clean and protected against fungi and bacteria. 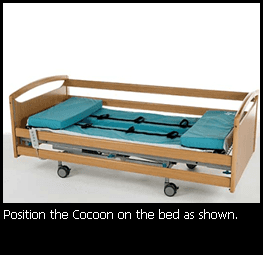 The Cocoon™ can be designed to operate on profiling beds. 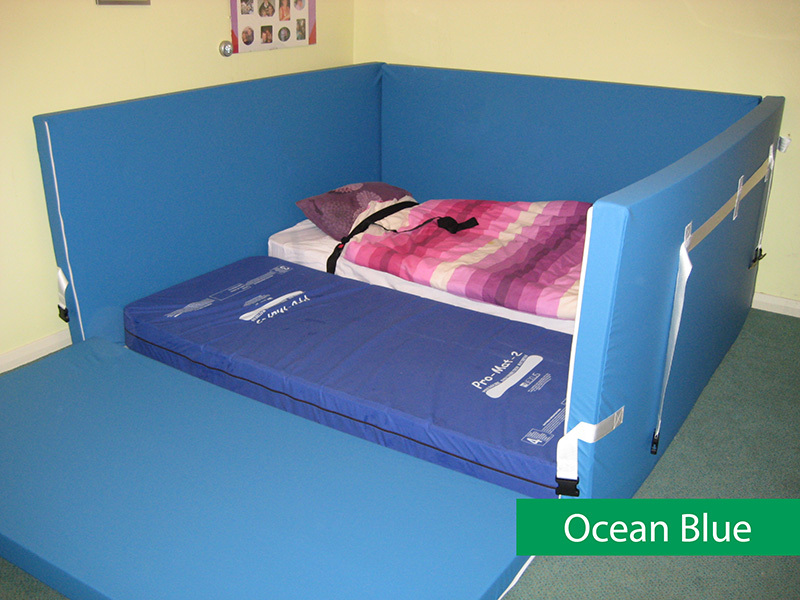 Orthodocs Limited has based the design and the content of the Orthodocs Cocoon™ on thorough research of many cases of entrapment. 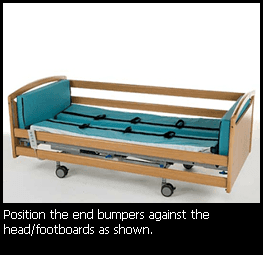 Their work has been vindicated by a document published by Medical Devices Agency, Report EL8, "Bed Safety Equipment, An Evaluation", that highlights the potential dangers associated with the use of bed rails and draws attention to the need for a full risk assessment programme. We are based in Northern Ireland but cover the whole of the UK.